I'm finally back with another Fantabulous Friday Freebie post! I took a break over the holidays and it feels like it's been forever since I've shared some wonderful freebies. It's good to be back!! 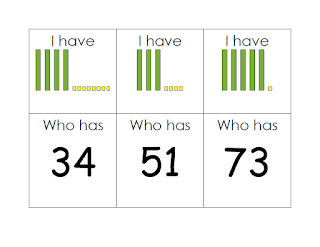 One of our Math By Myself games this month has 10 more and 10 less so we had to do some extra practice this week. 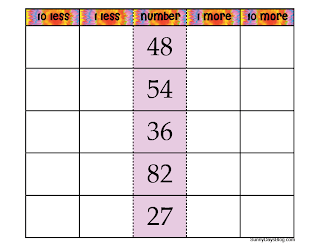 This free packet was a great help for my kiddos! 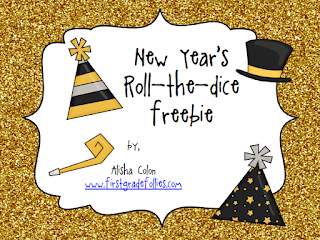 We played this roll and add New Year's game for some quick practice this week. My kiddos LOVED it! You definitely need to save this one for next year! Our phonics lesson this week was y sounding like an i or e at the end of a word. I found this cute little freebie and used it this week. There is a poem to read about Detective Y and we circled all of the y words and then there is a word sort...great freebie! 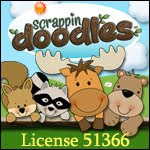 Hope you were able to use one of these great freebies I found! If you do use them, make sure you show some love by giving thanks! 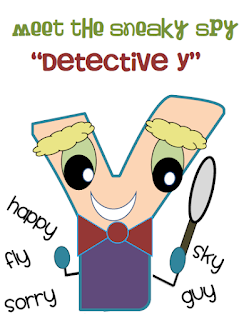 I LOVE Detective Y; he is super cute :) Thanks for sharing your talent. Happy to be your newest follower. 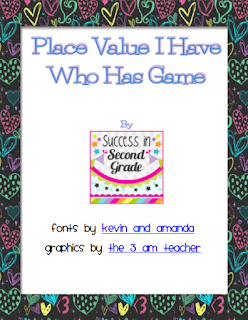 Will you host a Flat First Grader?? Happy New Year BOGO Sale!